cleans, revitalizes and protects in one. Having maximized color intensity and high gloss, it deposits a super-protective acrylic coating that gives your boat a deep, lustrous shine, impervious to salt water, acid rain and marine growths. Breathes new life into old paintwork. It easily revives dull finishes and adds long lasting UVA UVB protection SPF 30 protection to stop yellowing and fading. This innovative product even acts as a barrier to prevent surface rust and corrosion. Environmentally friendly anti-fouling action stops algae and barnacle attachment, while rail marks, waterline dirt, and stains are dramatically reduced and easily wiped off. 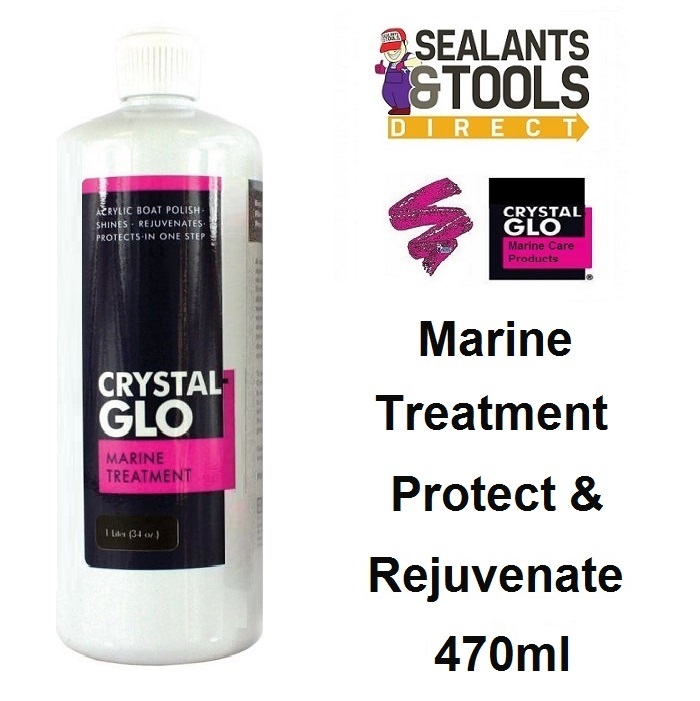 Ideal too, for out-drives and outboards, which lose their shine and create drag if treated with conventional anti-fouling. Creates a smooth, non-stick protective acrylic shield that allows bird droppings, fuel spills, grease, and grime to be wiped off, easily. All paintwork, fibreglass, gelcoat, clearcoat, aluminum, chrome fittings, mirrors, stainless steel, brass, carbon fibre, GRP & composites, glass & perspex windscreens and portholes.